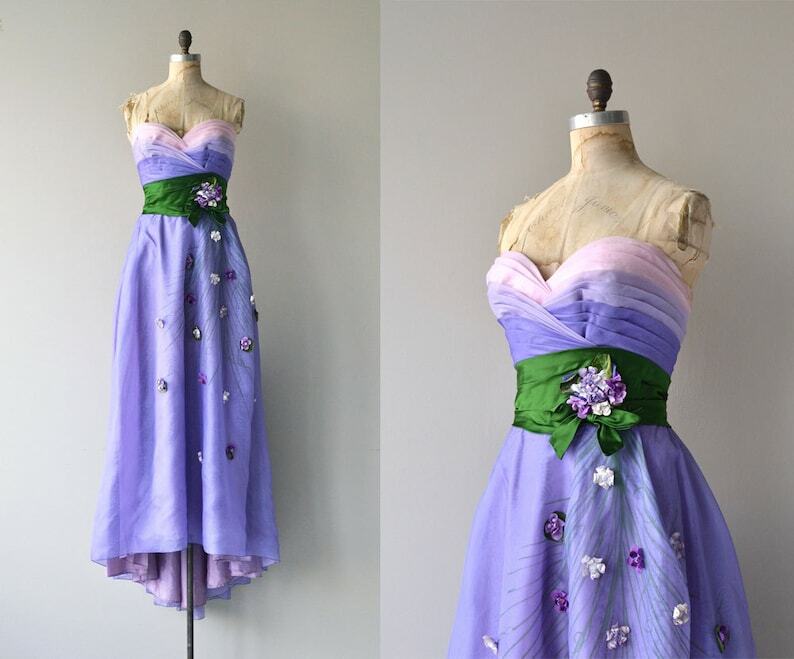 Rare and utterly gorgeous vintage late 1940s Philip Hulitar gown of layers of silk organza, pleated and strapless ombre bust with corset boning, fitted waist wrapped in dark green silk adorned with large floral bouquet at one side, layered silk organza skirt with applique flowers and metal zipper. This dress is dated prior to 1949 as Philip Hulitar was a designer at Bergdorf Goodman from 1935-1949. In 1949 Hulitar opened his own design house.